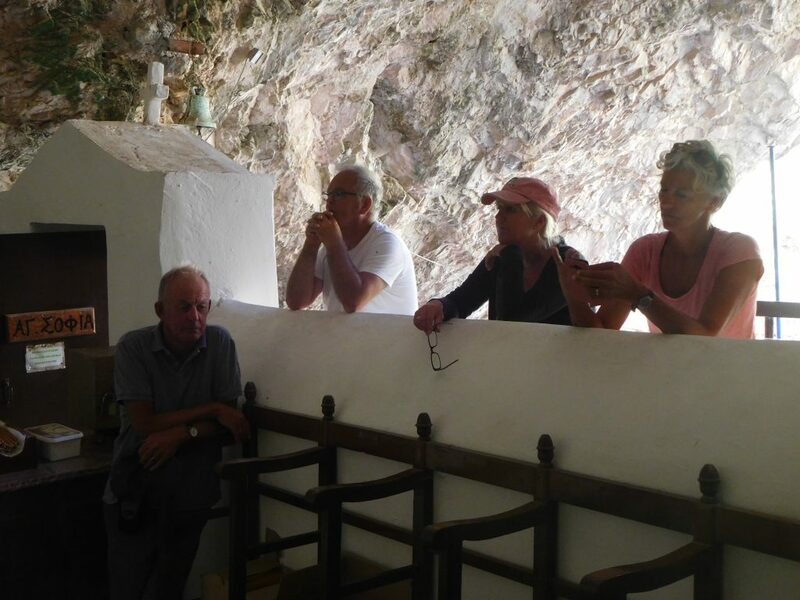 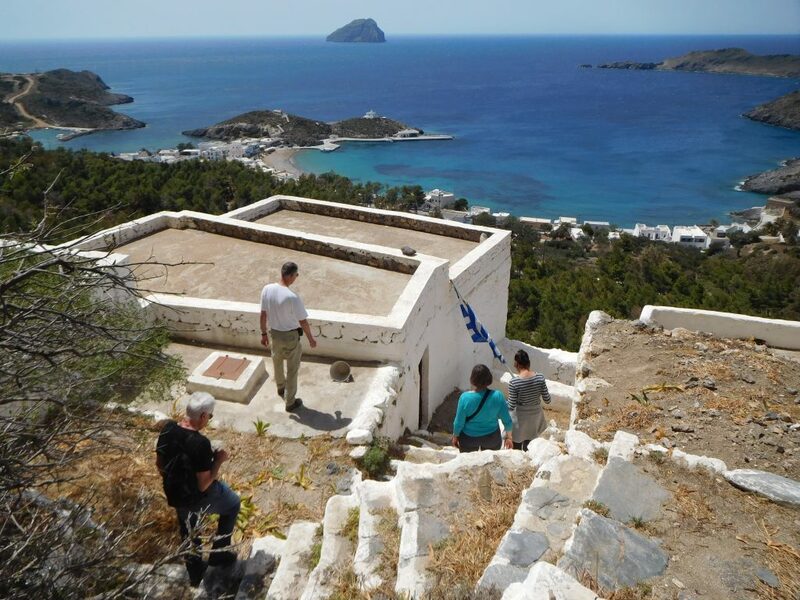 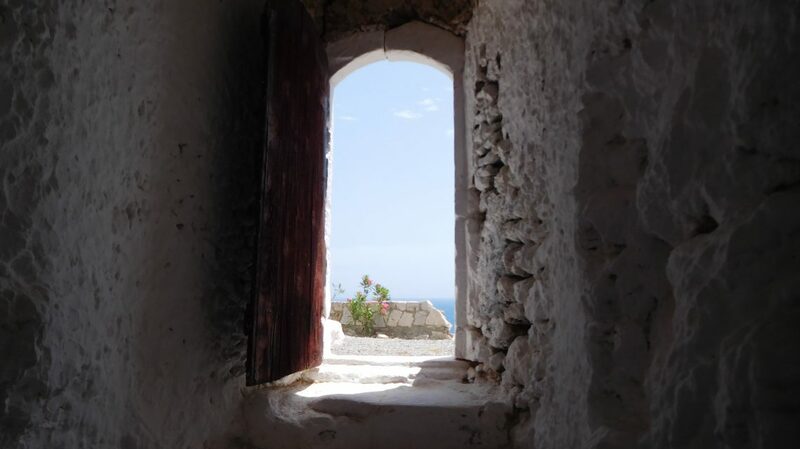 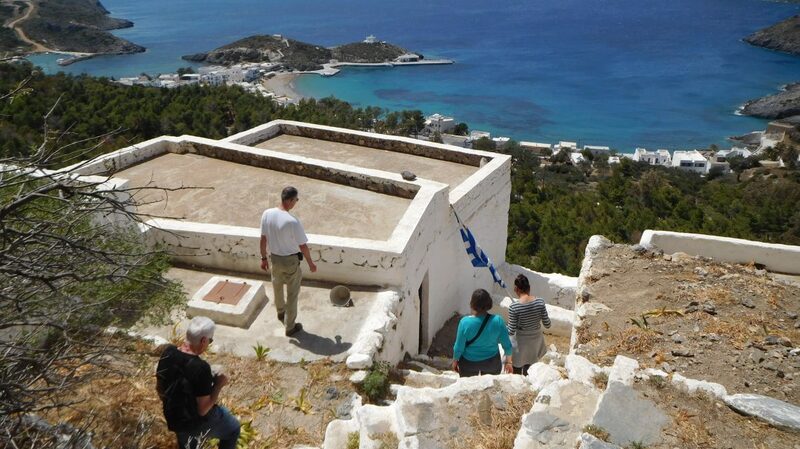 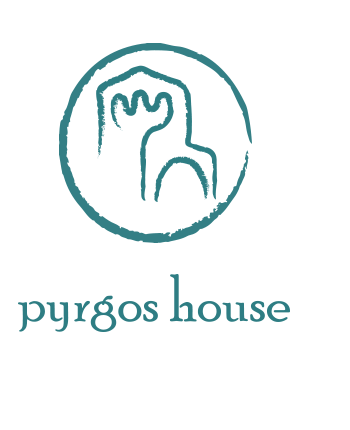 Pyrgos House organizes a weekly tour of the caves in Kapsali and Kalamos. 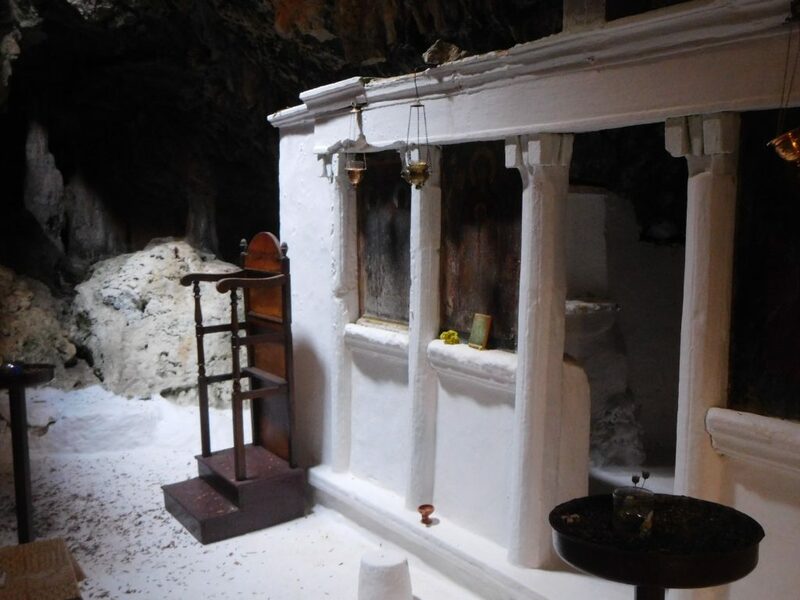 You will be entering four caves, two of which are not well known, even by the Kythirians. 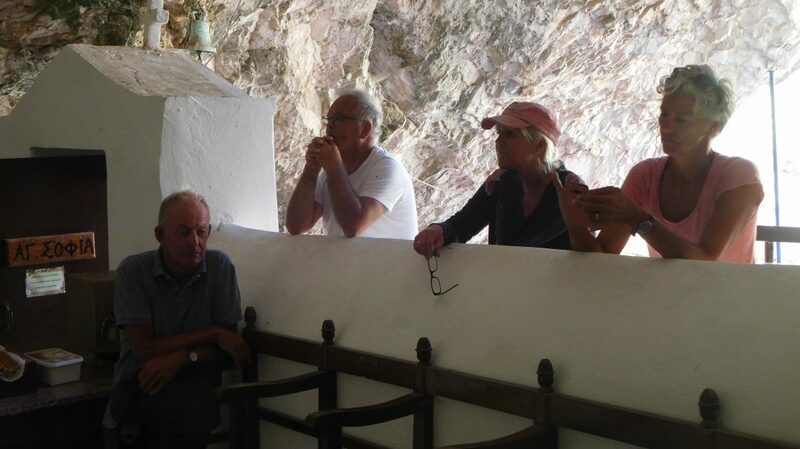 During the tour, we visit the caves of Agios Pavlos, Agia Aikaterini, Agios Ioannis ston Gremno and Agia Sophia. 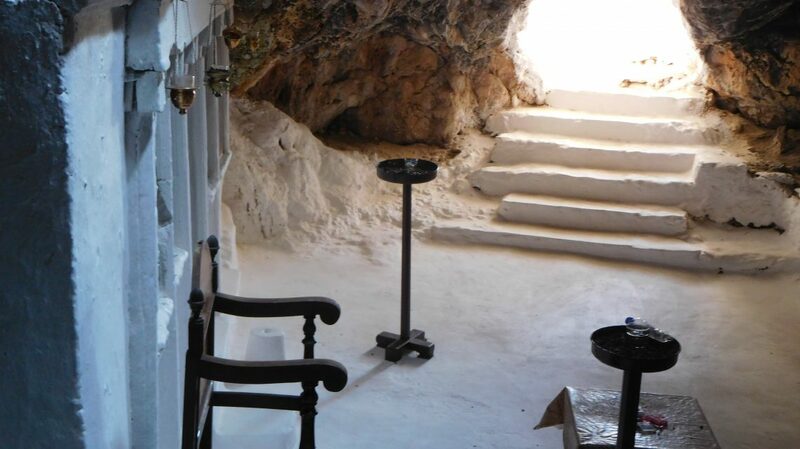 The common feature is a small church built at each cave entrance. 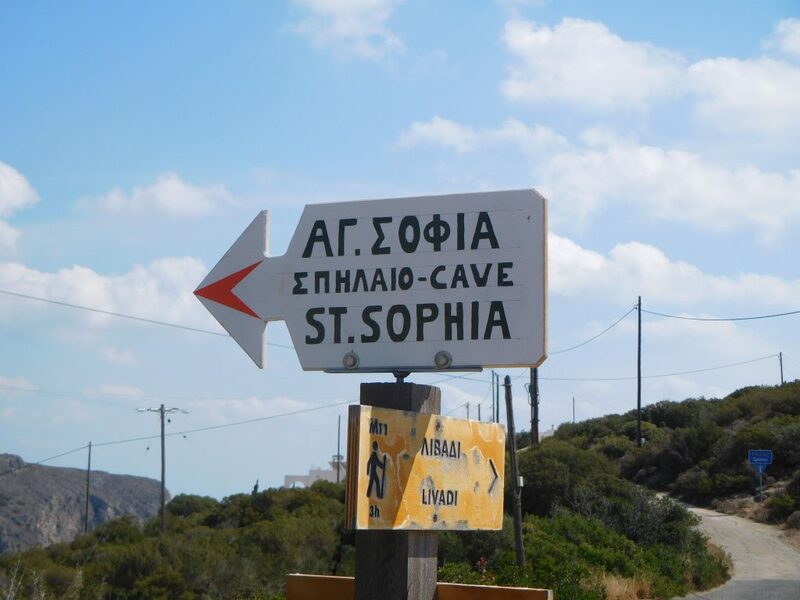 You will learn about the history of Kythira’s speleology and, in every cave, the guide will tell you about the symbolism and history of the saint to which the church is dedicated. 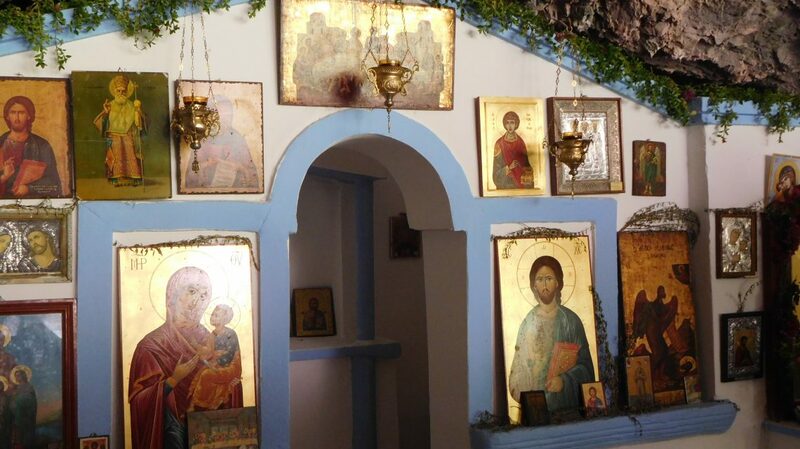 You will enjoy seeing beautiful icons and frescoes and get to know everything about the composition of the iconostasis. 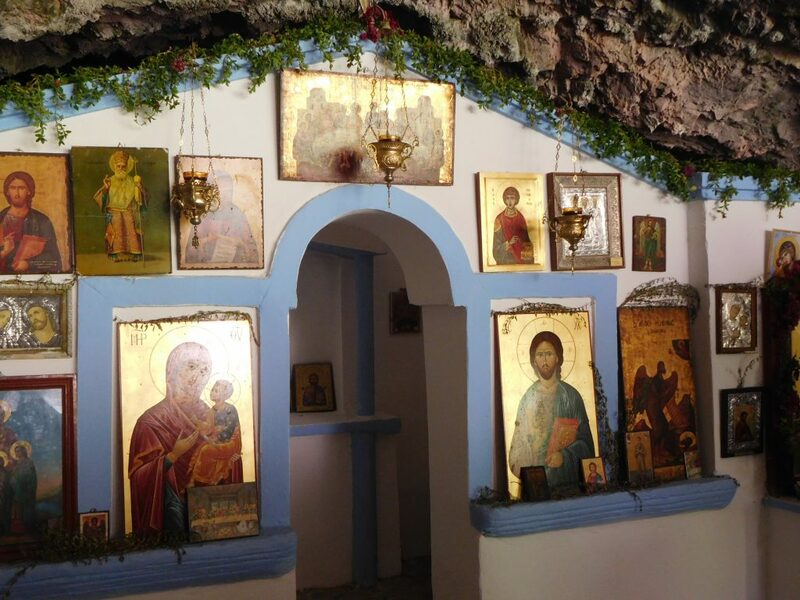 Joining in this excursion, Pyrgos House offers you the opportunity to visit Agios Pavlos Cave and Agios Ioannis Cave (where Saint John the Evangelist started to write the Apocalypse). 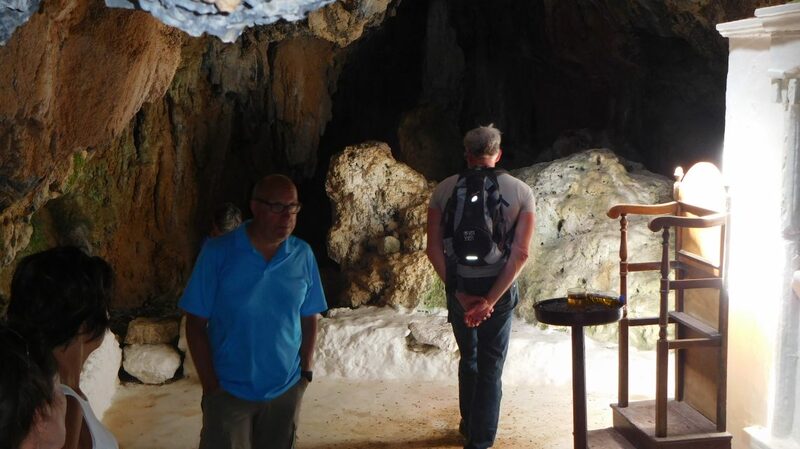 These caves are usually closed to the public. 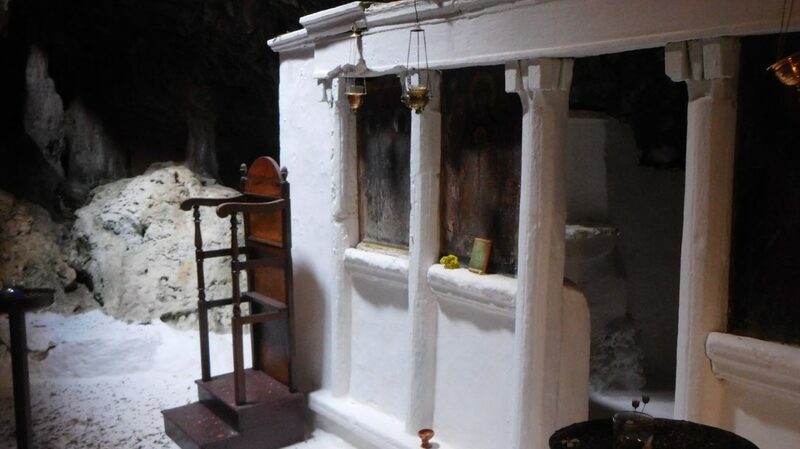 And what could be more impressive than walking into the Agia Sophia Cave? 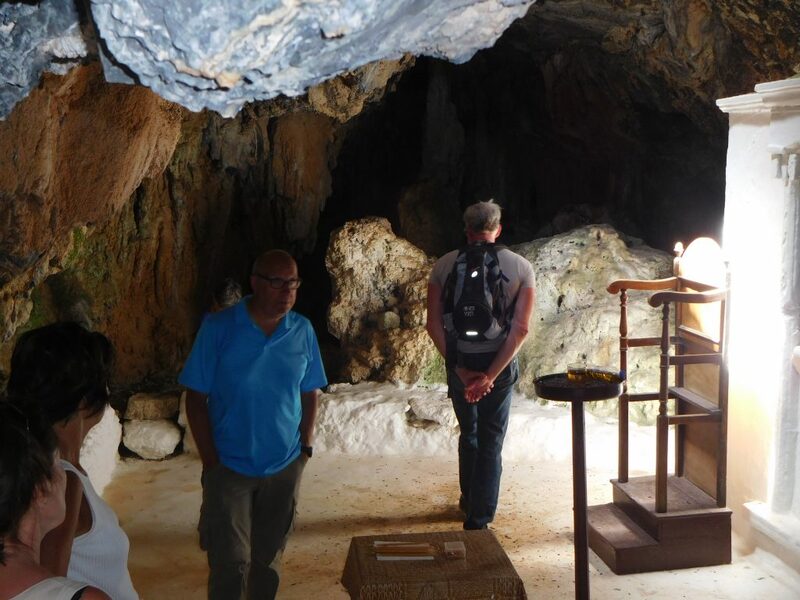 Equipped with a torch, the guide will lead you into the rock for 125 meters, showing you impressive stalactite and stalagmite formations. 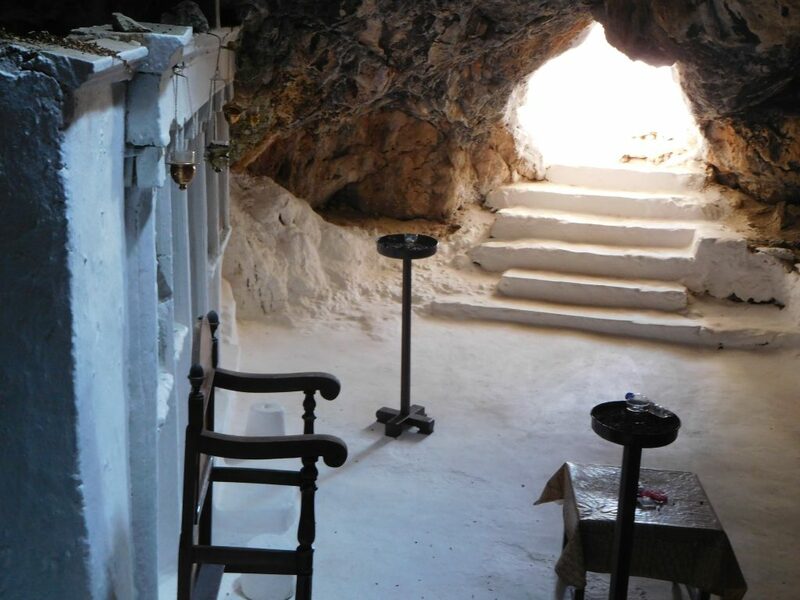 The cave dimensions, the silence and the complete darkness will impress you forever. 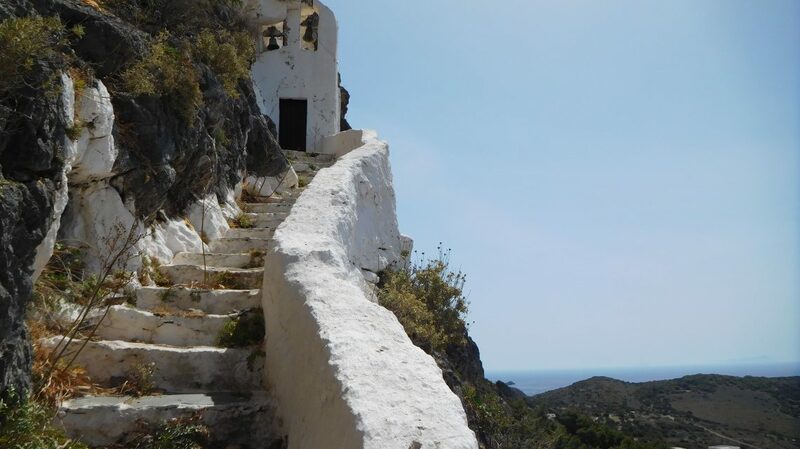 • Price: € 15 per person (included refreshments served in Kalamos’ traditional kafeneion). 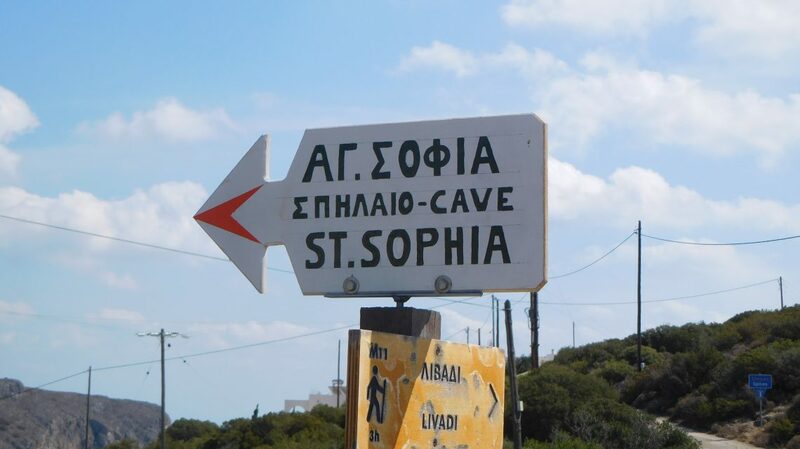 Advance reservation is required. 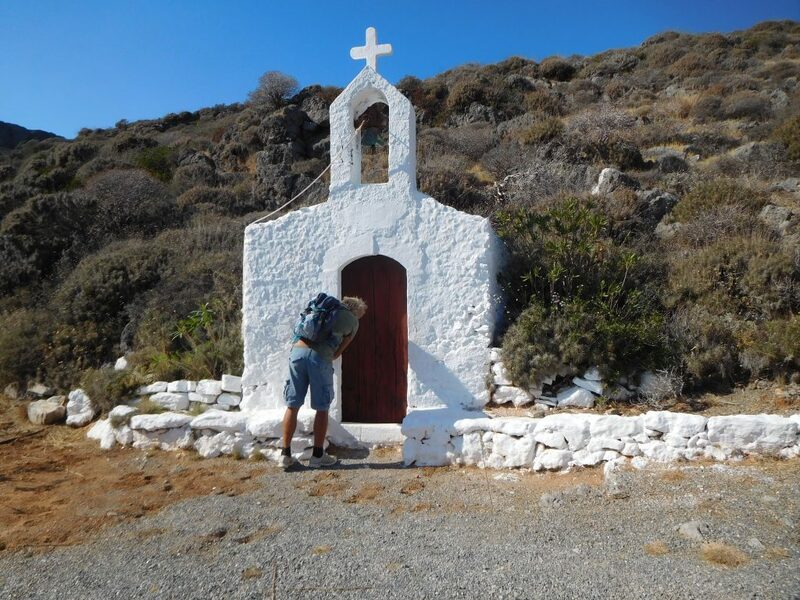 • During this tour you will be mainly walking. 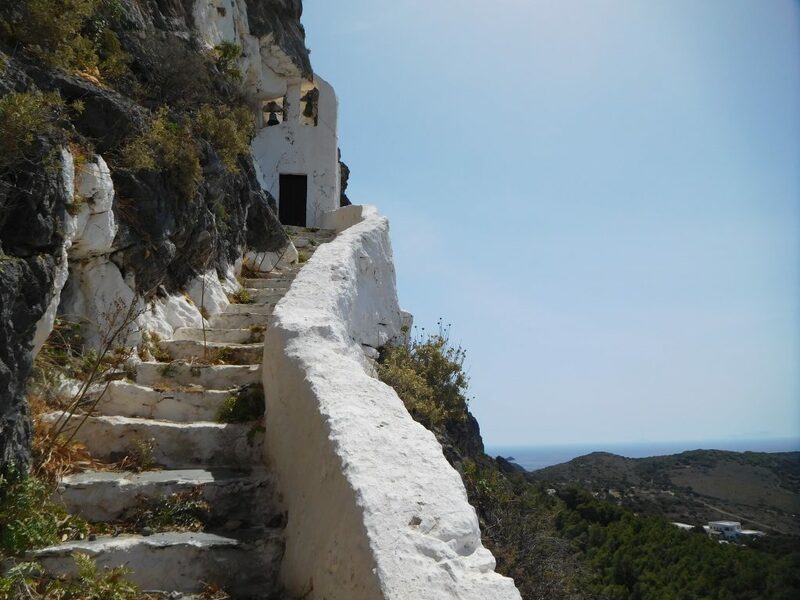 For the journey between two of the caves, though, you also will be using your own car. 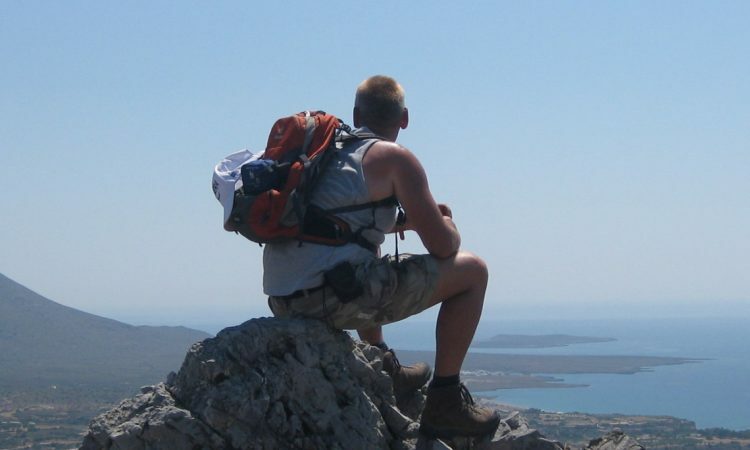 The tour is suitable for everyone who is in a good physical condition. 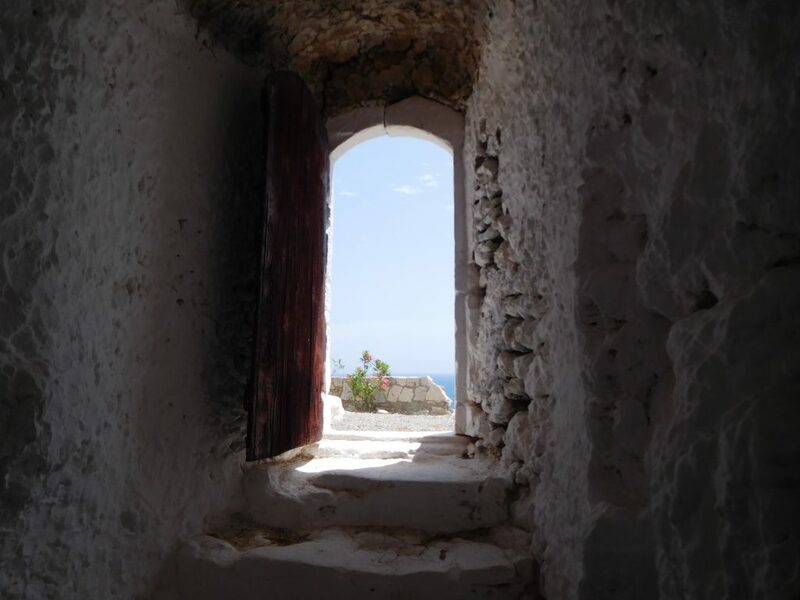 • Your guide will give you torches. 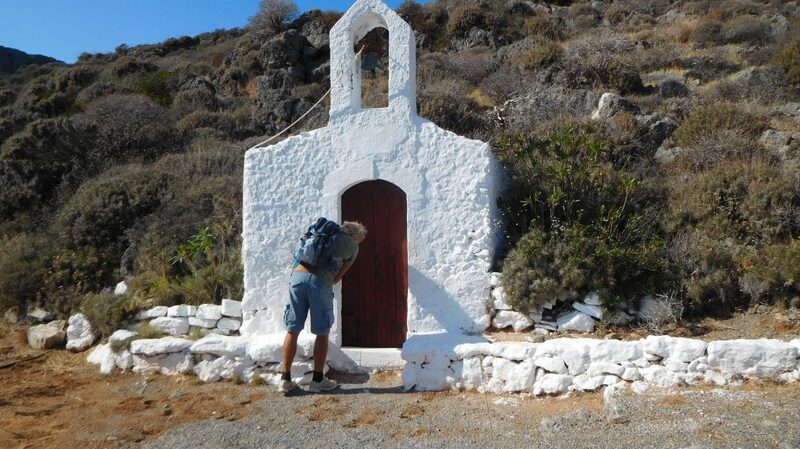 We advise you to wear sport or walking shoes.